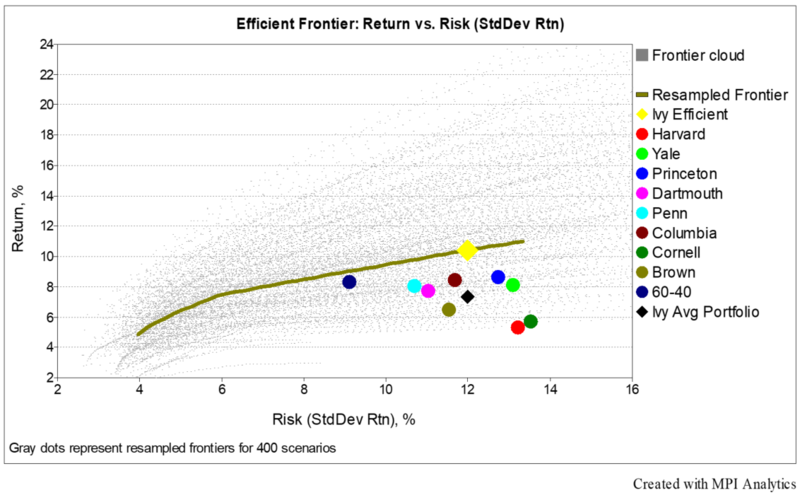 “Helped along by one of the stock market’s best runs, a humble 60/40 stock-bond portfolio built from low-cost index funds would have outperformed all Ivy endowments for the past 10 years through July, according to the new report by investment researcher Markov Processes International.” Read the full article here. “Ivy League endowments continued their strong performance in fiscal 2018 (ended June 30), with all but one registering double-digit returns and all beating a 60–40 U.S. stocks-and-bonds portfolio, the research and analytics firm Markov Processes International reported last week. 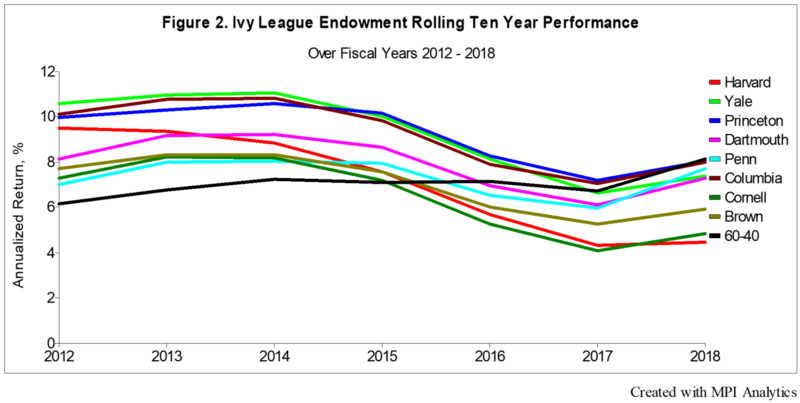 However, for the first time in the 20 years of available Ivy endowment returns data, the 60–40 portfolio outpaced all Ivies in terms of 10-year performance. For 15- and 20-year performance, the Ivies still maintained an edge on the benchmark.” Read the full article here.